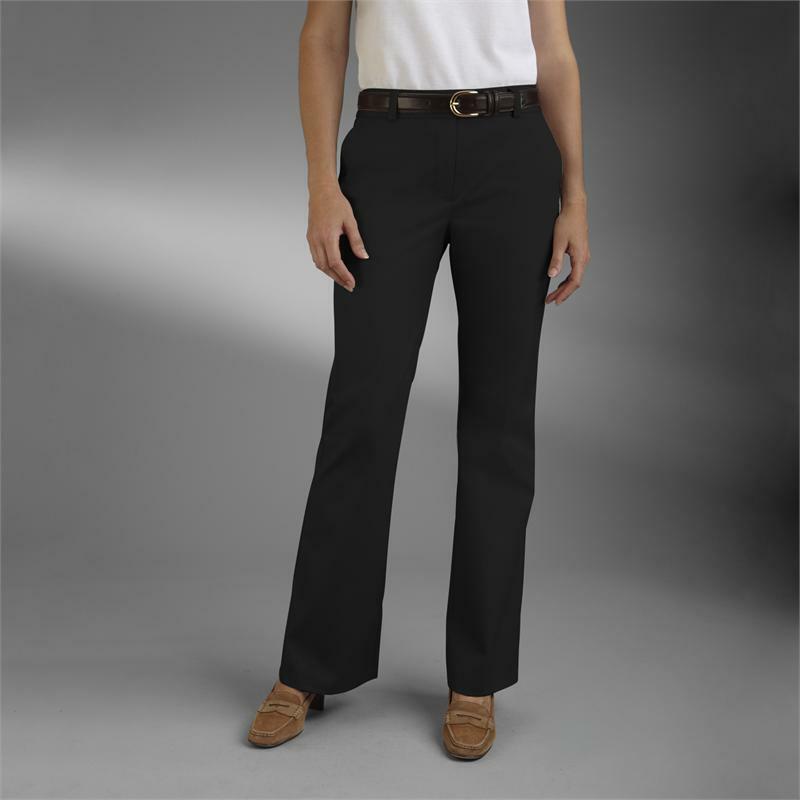 Blended twill with spandex and recycled polyester for comfort and stretch. Flat front. Sits lower on the waist with a wider leg opening. Extended waistband tab with hook-and-bar closure. Two quarter-top front pockets, two back single welt pockets. 32" hemmed inseam. 77/21/2 cotton/recycled polyester/spandex.